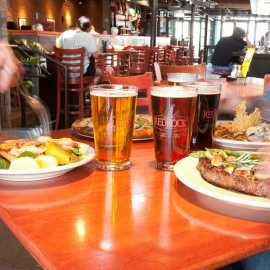 Over twenty-Years of Delicious Food, Craft Beer, and Good Company! 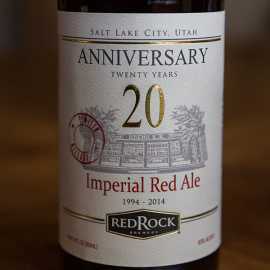 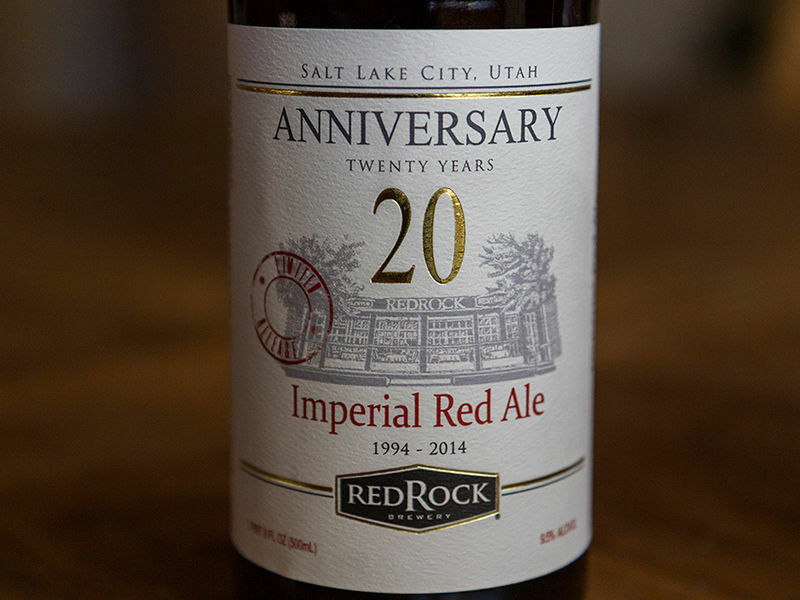 23-years ago we began brewing our distinctive craft beers in downtown Salt Lake City. 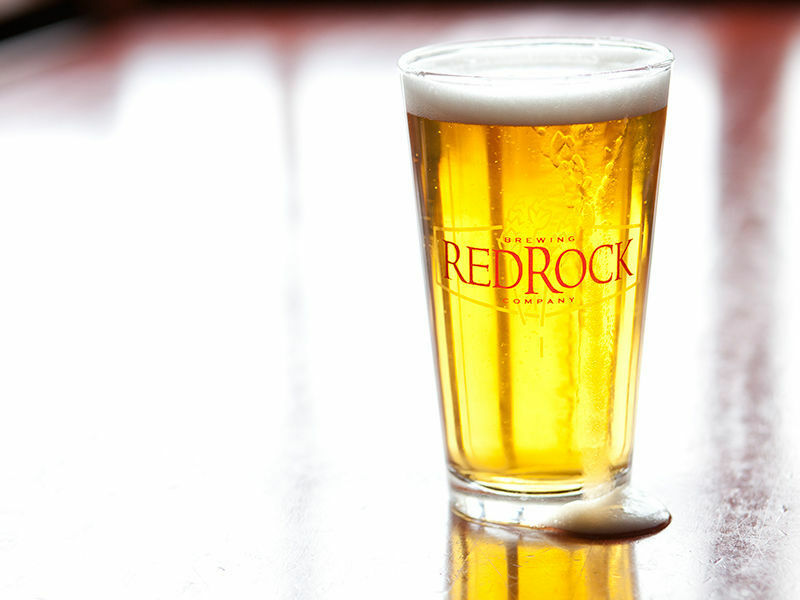 That makes us one of the pioneers of Utah’s innovative craft beer culture. 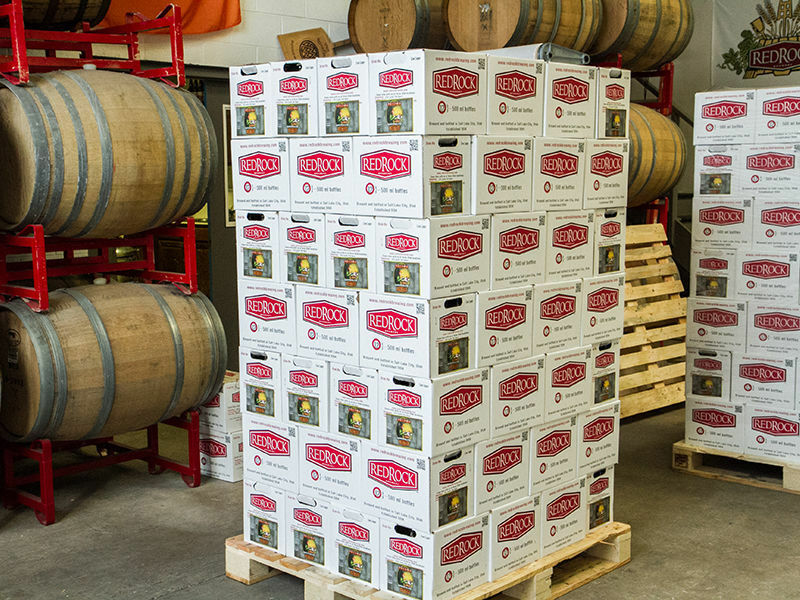 Although it’s never been our intent to be the biggest brewery in the West, with more than 75 gold, silver and bronze medals; there’s no doubt we’re one of the best. 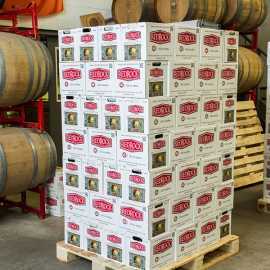 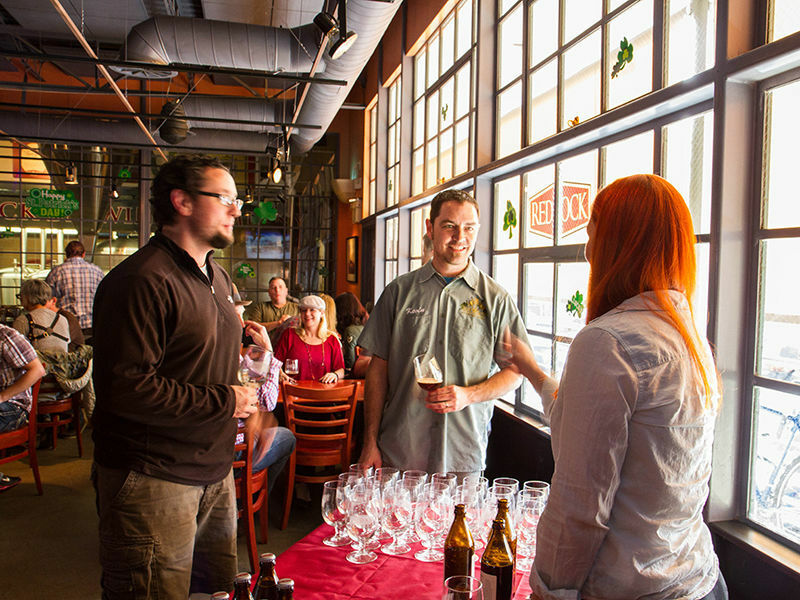 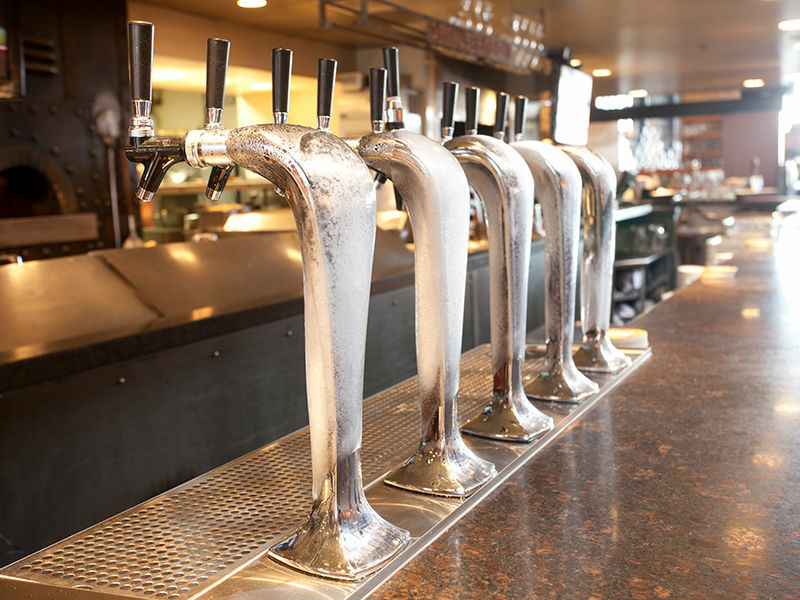 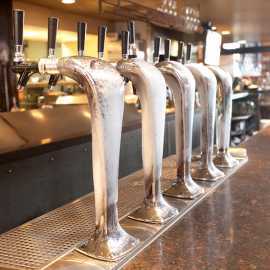 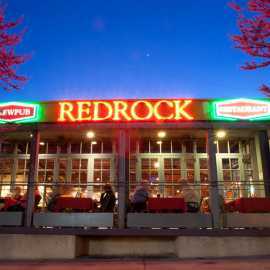 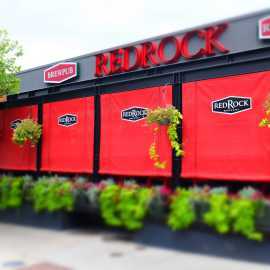 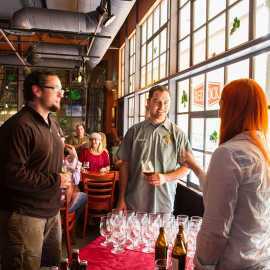 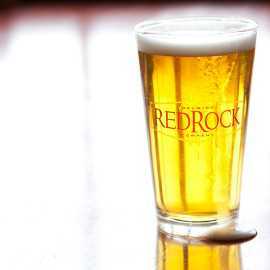 Red Rock Brewing Co. is just blocks away from all downtown hotels and the Salt Palace Convention Center. 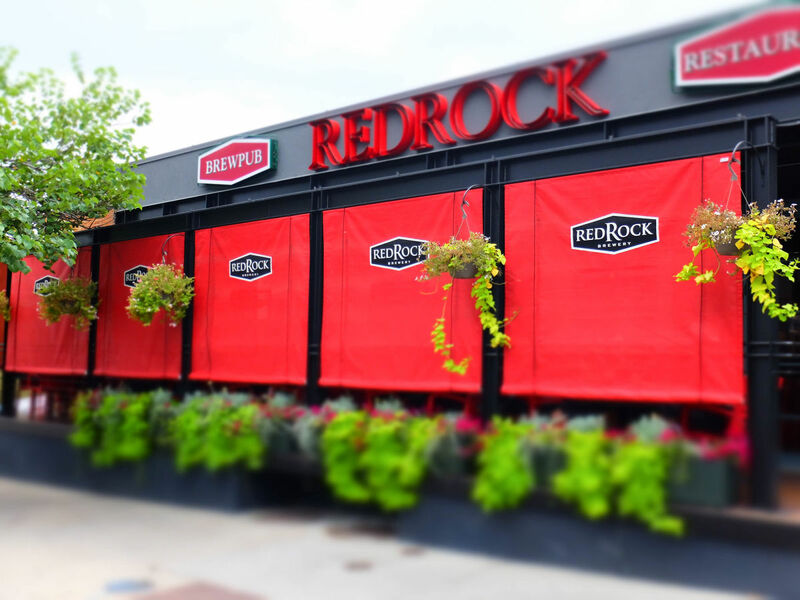 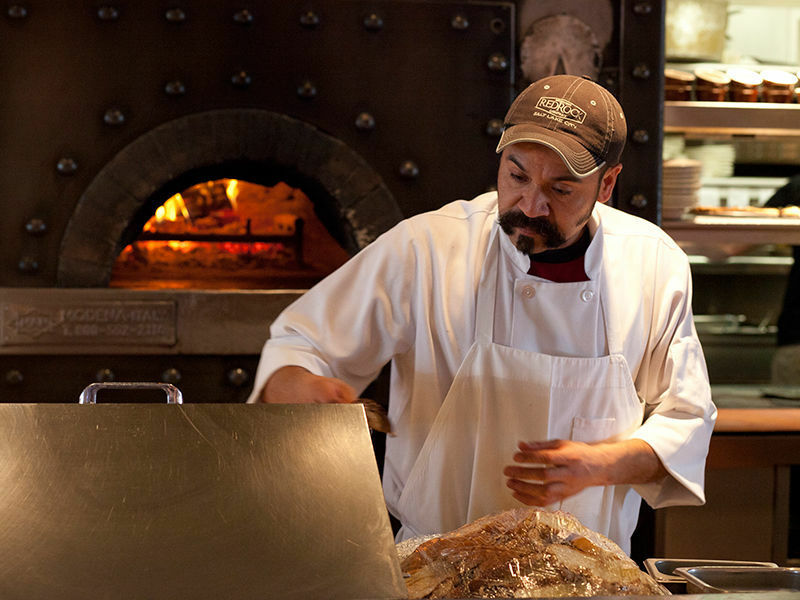 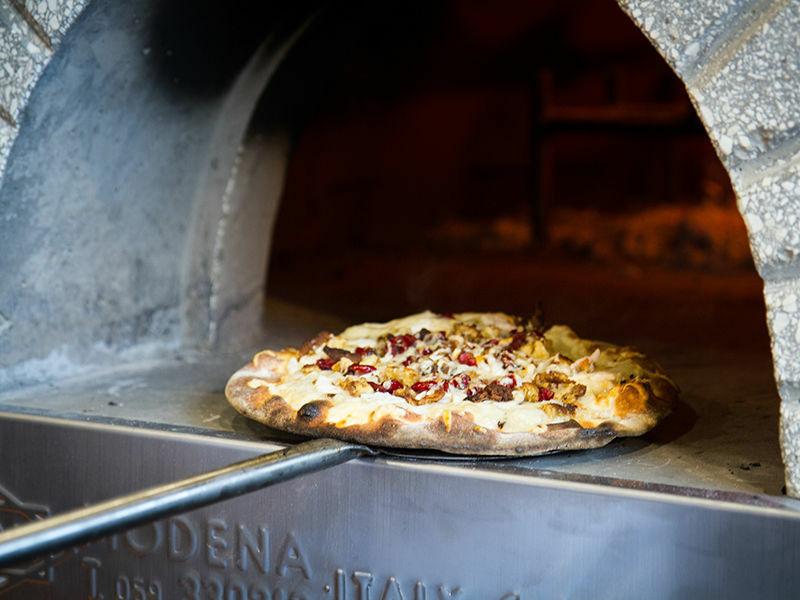 We’re the perfect stop for a business lunch, afternoon break, or a casual dinner with friends. 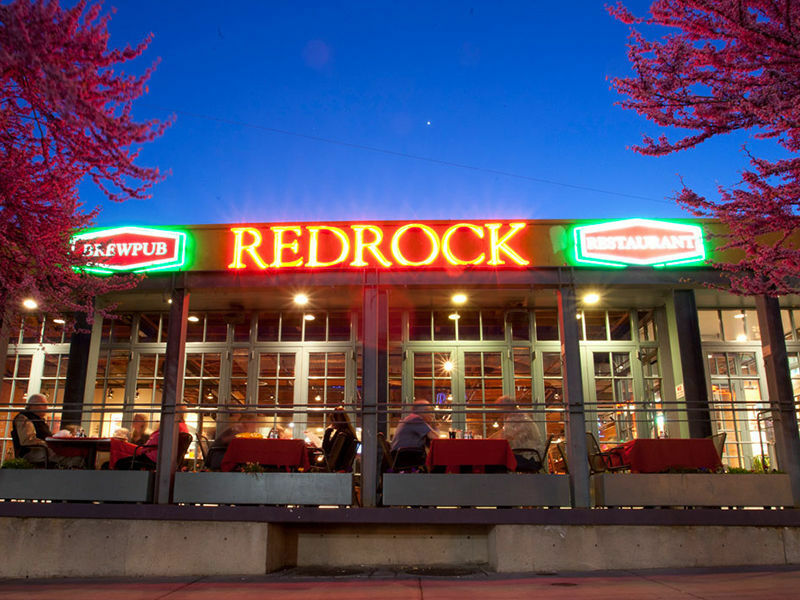 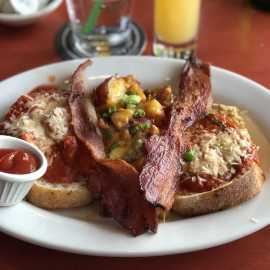 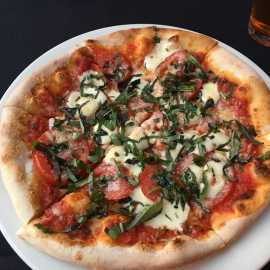 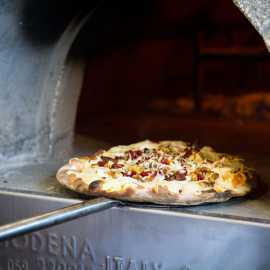 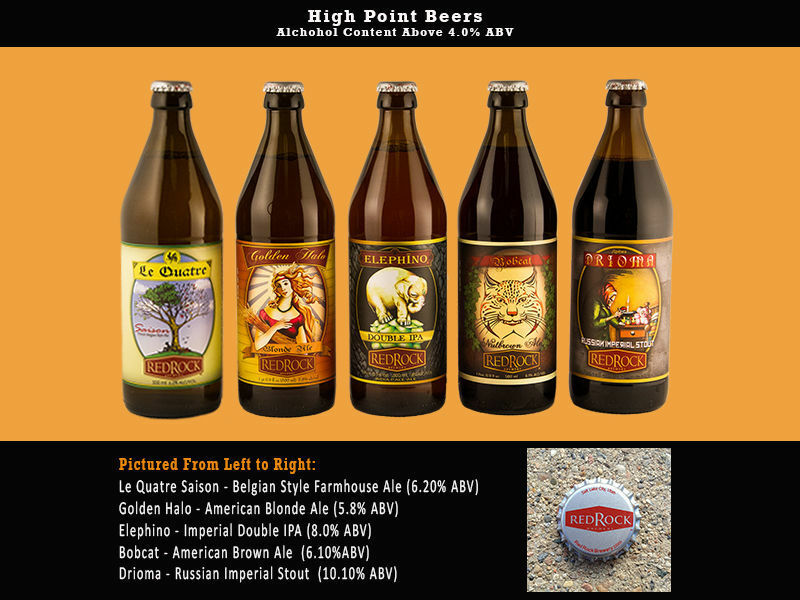 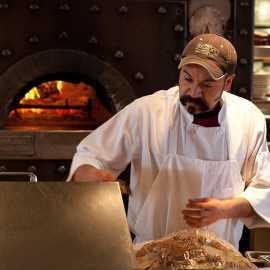 Red Rock Brewing is family friendly and has a menu to suit every taste. 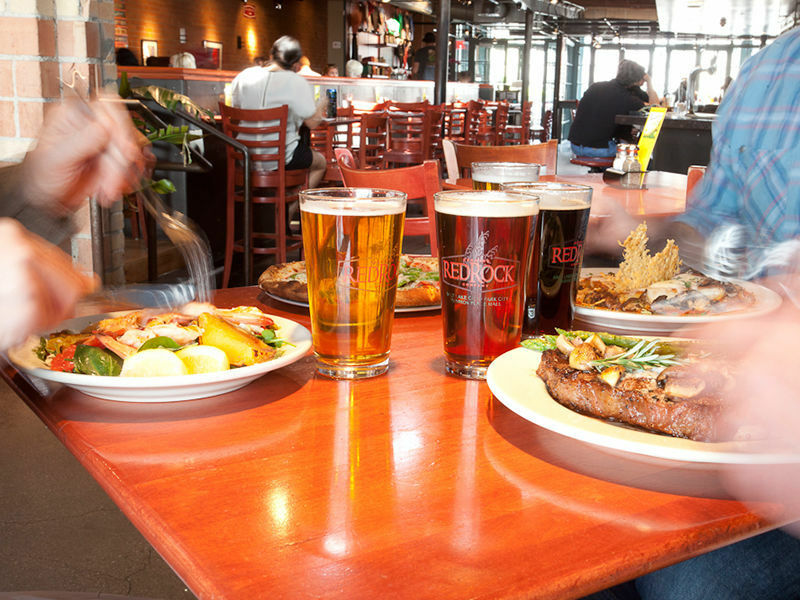 Solo diners are always welcome! 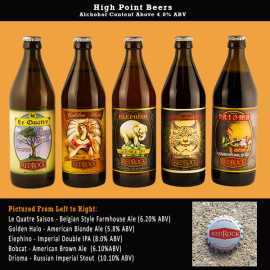 We have a diverse selection of craft beer on tap as well as six different high-gravity beers such as our top-selling Double IPA (8.5% ABV); Russian Imperial Stout (10.1% ABV); and our special Anniversary Imperial Red Ale (9.5% ABV)…all served in our big German style 500ml bottles. 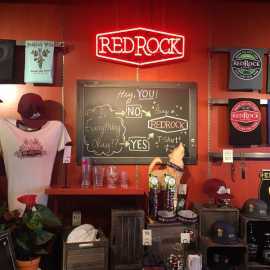 Come on by and see why the locals love Red Rock!